that is perfect for Valentine’s Day! 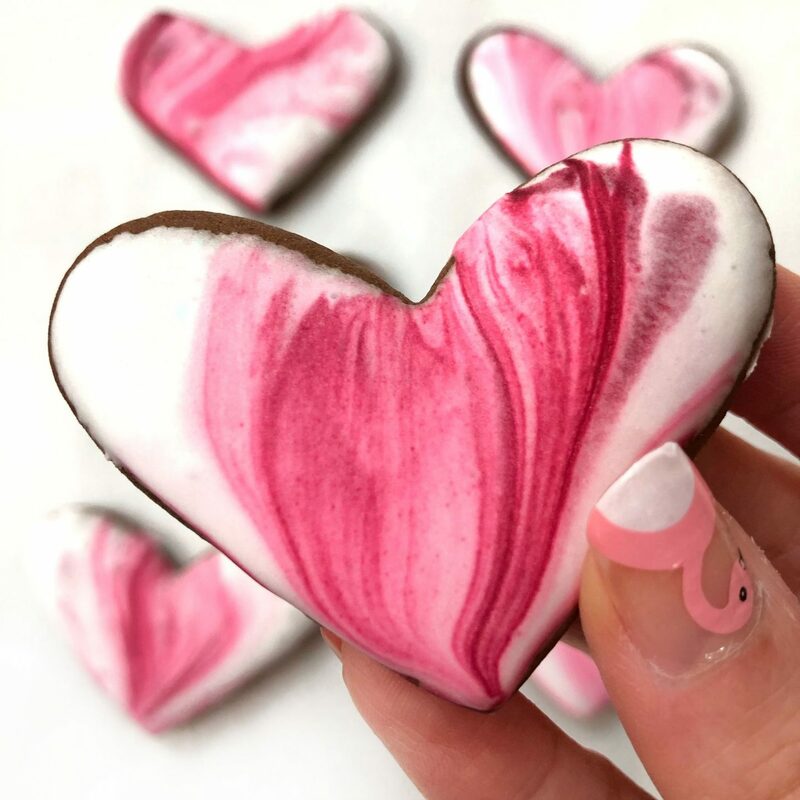 Still thinking of what to make for Valentines Day… these pretty heart shape cookies will be the perfect edible gift for your date. I was trying to play around with the royal icing and it just happen to achieve that nice streaks ( as you see in the picture above). So I decided to share with you the process on how i made them! 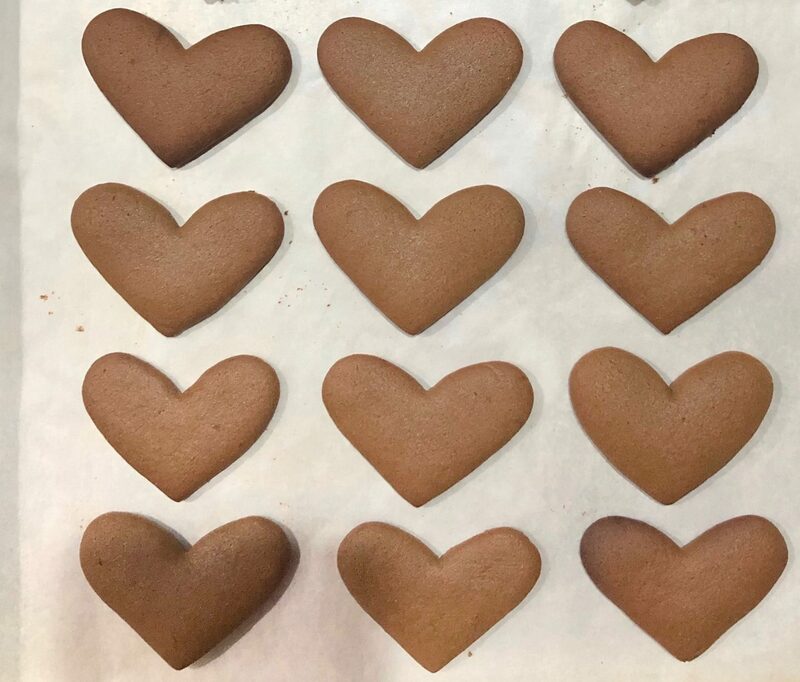 How to go about making these heart shape cookies? Next up we need to create some color in the royal icing. Place a small amount of royal icing into a bowl. 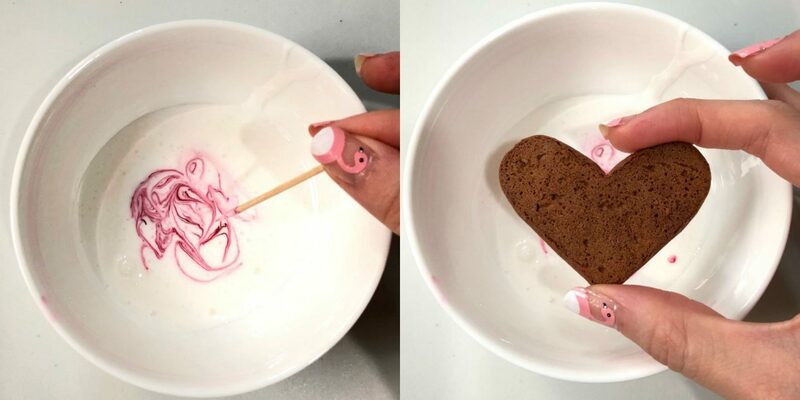 Spoon out some of the desired coloring onto a plate so it’s easier to add more coloring as you go without contaminating the entire bottle. Use a toothpick and take some food gel and swirl it around the royal icing frosting. Create random waves and pattern. If color is too light, dip toothpick with more coloring and repeat the process until you are happy. Dip the top of the heart shape cookie ( The smoother side that you wanna frost) into the icing with random swirls. Let the excess frosting drip off. You can see that there are streaks going from top to the bottom of the cookie in my photo.. To achieve this effect. Hold the cookie upright when you are letting the excess frosting drip off. If you want the swirls to go from right to left or left to right, tilt the cookie that direction when draining off the excess frosting. Gravity will cause the frosting to flow in the way you tilt the cookie… Get it? If all else fails, you can always use a toothpick to draw the lines on. Just make sure your royal icing is still wet so as to prevent blotchy patches from forming. You’ll perfect the design as you go along.. My first few heart shape cookies look like crap too.. But when you get the hang of it, it really is a fun activity to do with your kids. Ok Recipe recipe time.. I use my trusty Gingerbread cookie recipe for this heart shape cookies.. You can use any of your favourite cookie recipe but it shouldn’t contain nuts or choc chips as you want the surface of the cookie to be as smooth as possible if not the royal icing won’t “Stick” as well and you will get small choc chip bumps or “ Pimples” like what some might call it. Moving on to the Best Part- The Recipe. Cut out cookies with heart shape cookie cutter and place on baking sheet. Make sure each cookie is about 1-2 inches apart. Mix until combined then add in vanilla and beat until icing is thick and sticky like white glue. Make sure to place a piece of plastic wrap over the top of the icing to prevent a skin from forming if you are not using the icing immediately. 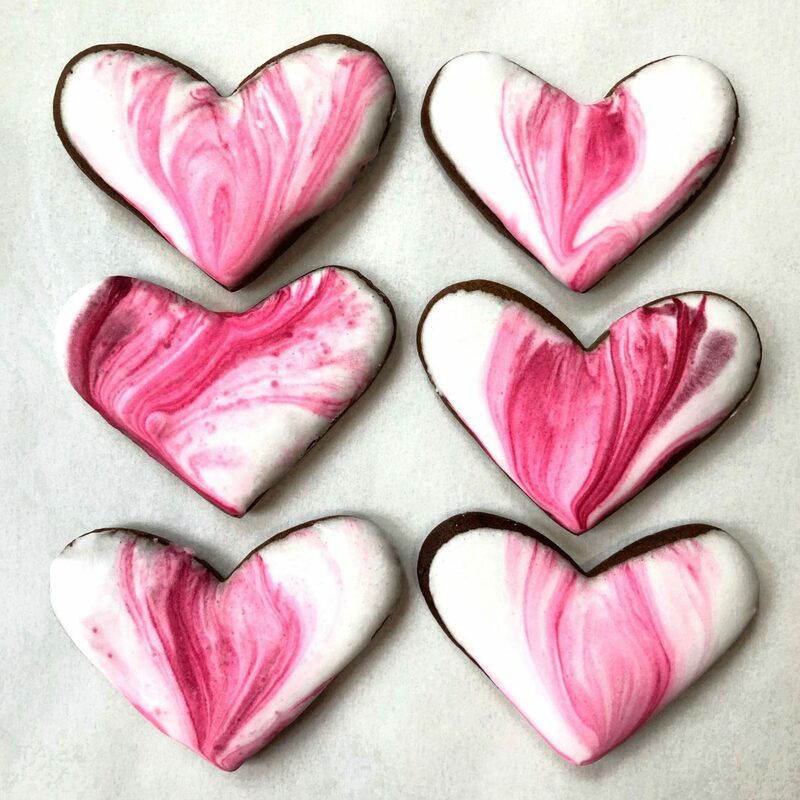 Decorate cookies with icing and let dry for at least a few hours before packing them.